The U.S. Commerce Department on Thursday announced it will impose finalized softwood lumber import duties on several Canadian firms. The U.S. government said Canadian producers were selling into the U.S. market at less than fair value, and said Canada was providing "unfair subsidies" to domestic producers. "While I am disappointed that a negotiated agreement could not be made between domestic and Canadian softwood producers, the United States is committed to free, fair and reciprocal trade with Canada," said Commerce Secretary Wilbur Ross in a statement. "This decision is based on a full and unbiased review of the facts in an open and transparent process that defends American workers and businesses from unfair trade practices," Ross said. In a joint statement, Canadian Minister of Foreign Affairs Chrystia Freeland and Minister of Natural Resources Jim Carr called the U.S. decision against Canada's softwood lumber producers "unfair, unwarranted and deeply troubling." "We will forcefully defend Canada's softwood lumber industry, including through litigation, and we expect to prevail as we have in the past," Freeland and Carr said. "We are reviewing our options, including legal action through the North American Free Trade Agreement and the World Trade Organization, and we will not delay in taking action." "We have kept the decisions and the discussions around softwood separate from discussions on NAFTA, but obviously every different aspect of our deep and broad relationship with the United States comes into the conversation that we have regularly," he responded. The U.S. government says that exporters from Canada have sold softwood lumber in the U.S. market at 3.20 per cent to 8.89 per cent less than fair value. The Commerce Department also said Canada is providing unfair subsidies to its producers of softwood lumber at rates from 3.34 per cent to 18.19 per cent. According to the Commerce Department, duties on Canfor and Tolko will be just over 22 per cent, while Resolute will see duties totalling just under 18 per cent. West Fraser will see duties of more than 23 per cent. All other producers will see duties of just under 21 per cent. Most of the Canadian producers actually saw their duties reduced from a preliminary ruling by the U.S. earlier this year. Resolute Forest Products and J.D. Irving will pay slightly higher duties. 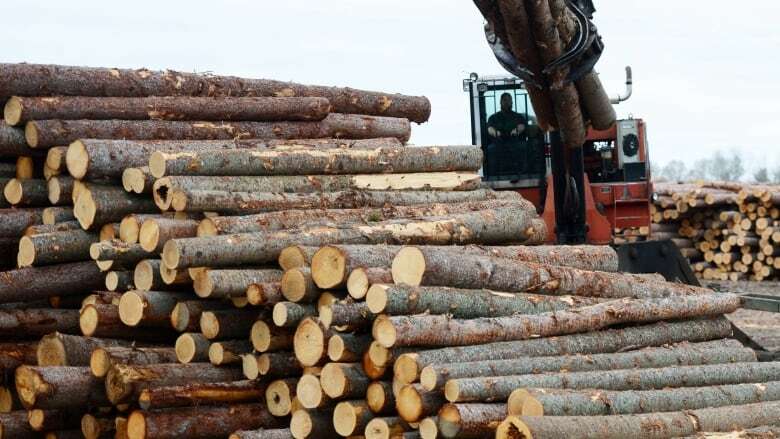 "While the rates are lower, the fact that any duties remain in place is disappointing," said Susan Yurkovich, president of the BC Lumber Trade Council. "As we have consistently said, these duties are unwarranted and this trade action is completely without merit." Speaking to reporters in Victoria, B.C. Premier John Horgan said, "We will prevail." Resolute spokesperson Seth Kursman said the company was also disappointed with the ruling. "We remain confident that Quebec and Ontario should have nothing less than free unencumbered access to the U.S. market place," he said in a statement to CBC News. Kursman added: "It's important to keep in mind that the only people who benefit from this are large timber barons in the U.S. It's important to keep in mind that the U.S. can't supply all of its domestic softwood demand. So 30-35 per cent historically has come from Canada." The U.S. decision excludes softwood lumber products certified by the Atlantic Lumber Board as being first produced in Newfoundland and Labrador, Nova Scotia, or Prince Edward Island from logs harvested in those provinces. Granger MacDonald, chairman of the National Association of Home Builders in the United States, railed against the decision, saying it could not have come at a worse time. "Home builders and homeowners are already dealing with the monumental rebuilding efforts in the aftermath of the devastating hurricane season and California wildfires," MacDonald said. "This tariff only adds to the burden by harming housing affordability and artificially boosting the price of lumber." MacDonald said about one-third of the lumber used in the U.S. last year was imported, with 95 per cent of those imports coming from Canada. The U.S. Commerce Department said imports of softwood lumber from Canada in 2016 were valued at an estimated $5.66 billion US. Jason Brochu, co-chair of the U.S. Lumber Coalition, which represents U.S. producers, applauded the decision. "The massive subsidies the Canadian government provides to their lumber industries have caused real harm to U.S. producers and their workers," he said in a statement. The Commerce Department's determination must still be approved by the U.S. International Trade Commission, which is scheduled to make its final determinations by Dec. 18, 2017. If the ITC agrees with Thursday's decision, the Commerce Department will issue orders to collect the duties. If the ITC finds that U.S. producers were not injured by Canadian softwood imports, the Commerce Department's case will be terminated.